Instead, we found ourselves in the nearby market town of Haddington. Unsure where to go, we stopped into the local sporting goods store to buy a rubgy shirt (as you do!) 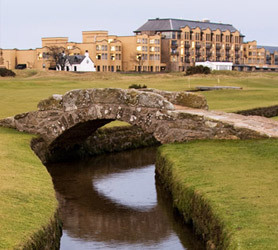 and they suggested the Haddington Golf Club. It was a great recommendation and the perfect end to a very special week. and then he insisted on taking a picture of Ann and I in front of the Clubhouse too. John gave us a quick history of the course and said it is celebrating its 150th year in operation! Simply amazing. According to John, the membership is going strong due to a very successful recent membership drive. The club is up to approximately 220 members, of which 40 are ladies. 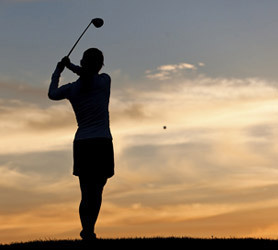 Wednesday is Ladies Day at Haddington Golf Club and they also have a weekly medal on Monday nights during the season. 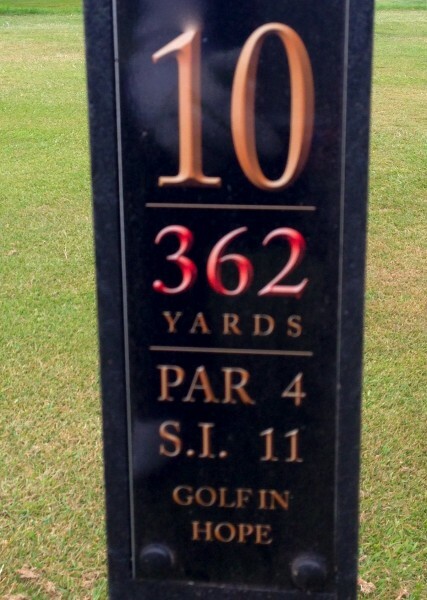 And I can certainly understand why membership is up after my round. 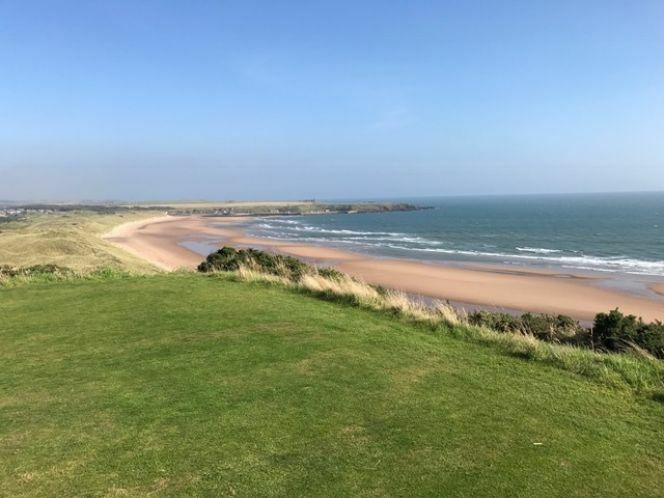 It is a lovely parkland course not far from the A1 that meanders down the River Tyne with beautiful views over the countryside and back over the town itself. It is not over powering, while still being a stern test. 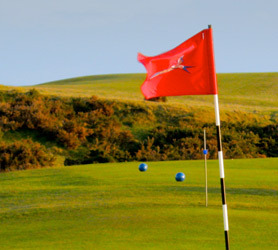 As such, it appeals to golfers of all levels and abilities. Haddington really was the perfect finish to a great week of golf. 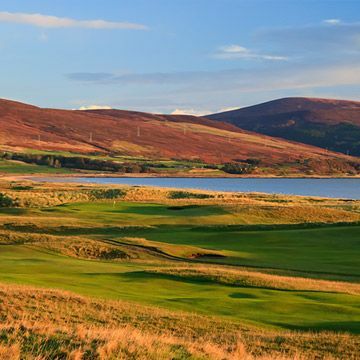 It's an easy walk, mostly flat, with lush green fairways and a few fun quirky holes. 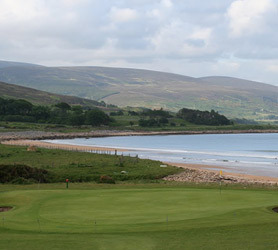 While I enjoyed the entire course, my favourite holes were the 7th and the 8th. 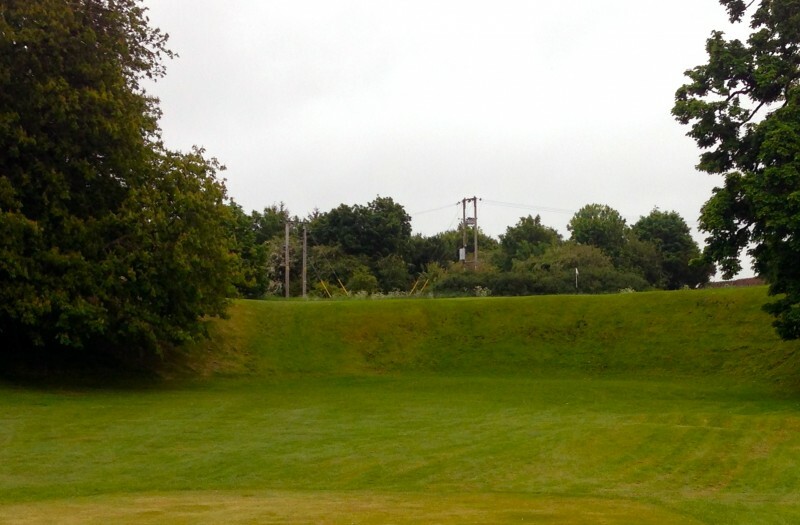 The 7th is a long downhill, which seems to meet part of the dedicated practise grounds. We could hear laughter and shouts of joy from that direction. When we arrived on the 7th green, we could see a plethora of Juniors playing together in the practise area. Here they are from afar, and it was a joy and an inspiration to see. 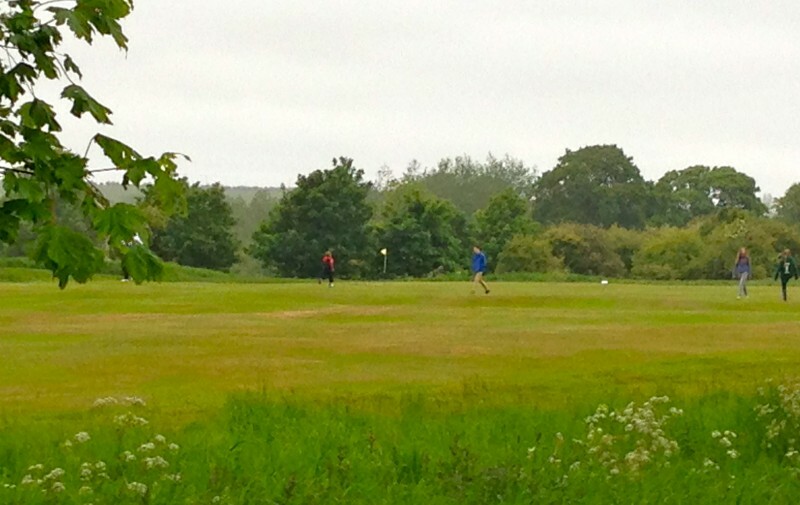 The 8th hole, the Quarry, is certainly the most fun at Haddington. It is a short par 3, but straight uphill! Ann hit a beautiful shot to the green: so we had our own shout of joy. Followed by my shot straight into the side of the steep bank: so we had our own shout of laughter as well! Here it is, a true gem. 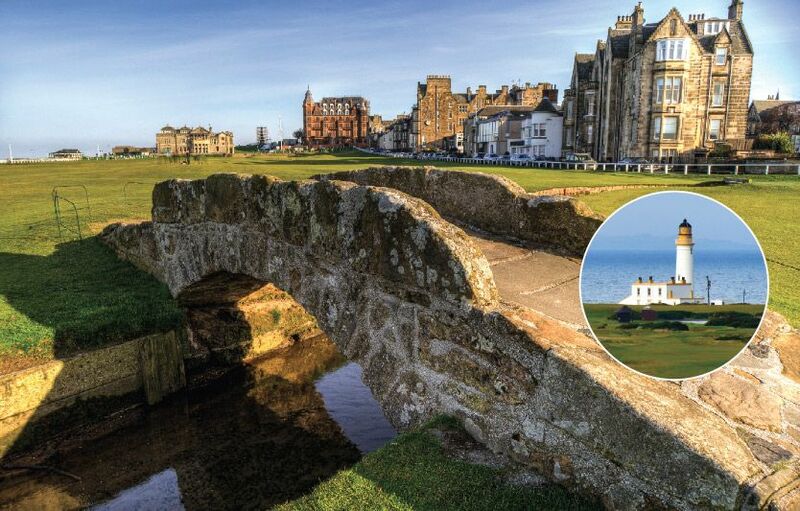 The course must be stunning in the Spring. It is lined with flowers, but especially rhododendrons. 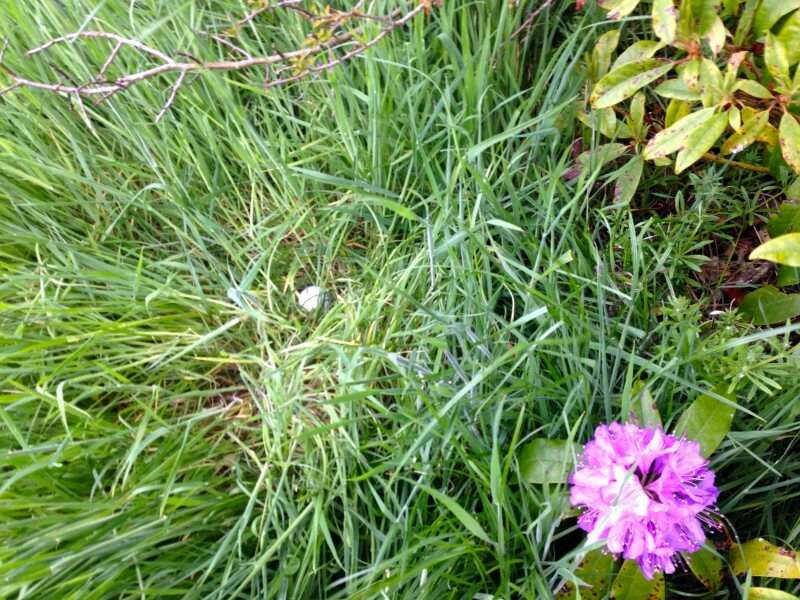 I must have been concentrating on them too much: look where my ball ended up! ‘Golf in hope.’ That pretty much sums up my game!!!! And I do just that, every time. But now when I get to a course, and I think of that saying, a smile comes to my face as I remember Haddington. And more surprises awaited us on on these back 9 holes. The 11th is lined with a multitude of beautiful ‘sweet williams’ along the banks of the River Tyne. The 13th has a (not so nice) surprise in the form of a pond, which unfortunately Ann found again! She seems to avoid the steep banks like me; but unlike me, her balls seem determined to relive their Baptismal promise!!! 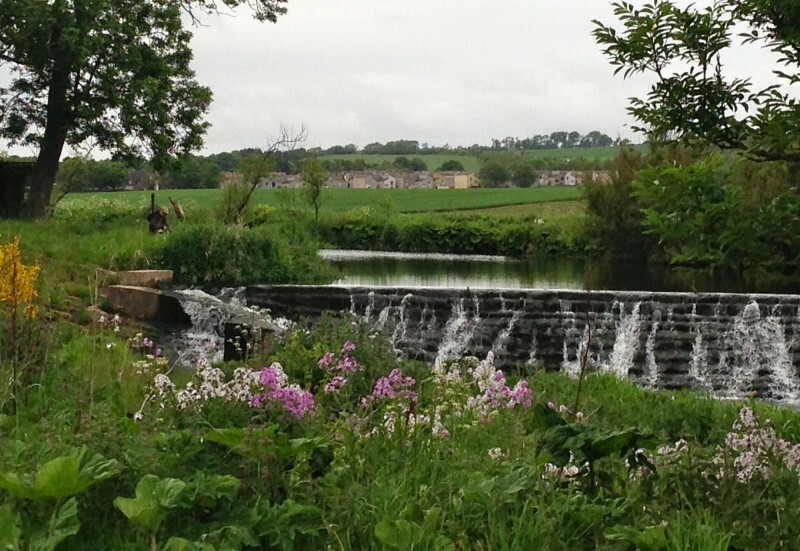 Here she is fishing one out again from Haddington’s Lady Captain’s Pond. On the 15th, one is greeted by the lovely sound of the Tyne cascading down over a weir. Both we, and the fisherman pictured here, were in our element. Haddington finishes off by chasing back and around to the clubhouse. Here I am triumphant on the 18th having finished my round strong and best of all, beaten the rain! We were delighted to again see another group of Juniors on the putting green. It seems they have a very special lady coach, Jane, who used to play on the European tour. Here they are pictured with us with big smiles to match our own after our round at Haddington! Notes: Haddington is conveniently located just off the A1. 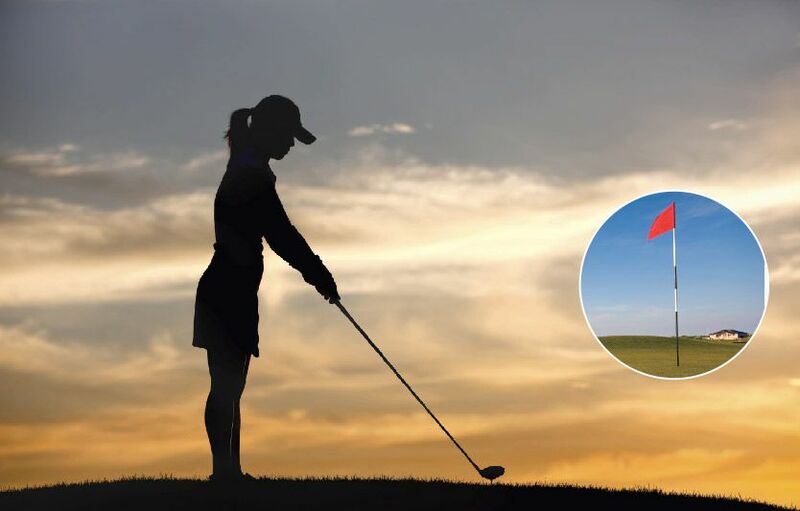 It is par 73 with a length of 5673 from the red tees for Ladies. It is a flat course, so easy and pleasant to walk. Golf buggies and trolleys are available for hire.